Did you know you can get all the benefits of a gym workout without even having to leave your property – or pay a cent? Your backyard offers all the workout possibilities you should need. And it’s better for you. Research has shown that exercising outdoor boosts your physical and mental health more than indoor gyms – even when it’s frosty outside! Plus exercising outdoors has proven to burn up to 20% more calories than indoor workouts. As an added benefit, you also get to soak up some rays while you’re improving your fitness. And even that’s good for you, giving you your daily dose of vitamin D! You don’t need state-of-the-art equipment or a membership card to your local gym to get a good workout. You only need determination and a well-planned backyard. Here’s how you can get the best possible workout from your own backyard facilities. 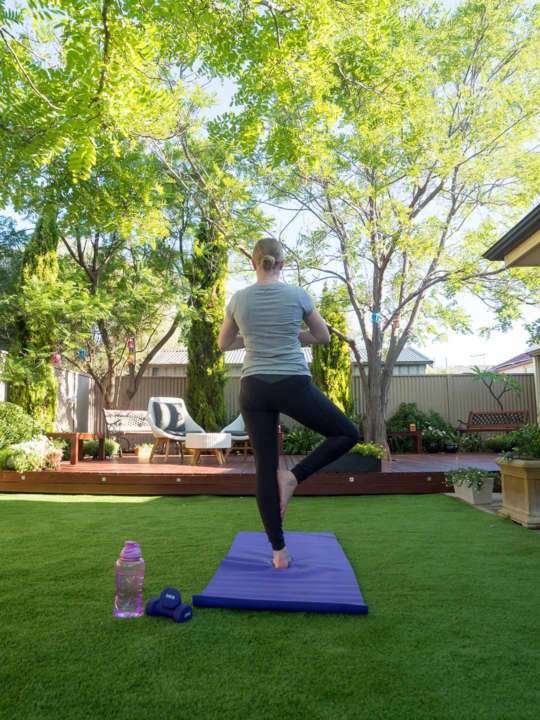 You might dismiss your backyard as too uneven to work out on. But in fact, that’s a good thing. Uneven surfaces encourage your body to work harder, improving your balance and core skills. If you like to do squats, push ups, lunges, and pull ups, try them on a slope. You can use a natural mound in your garden or even build your own little molehill. You can even tailor your workout level to whichever position you choose to adopt on your little hill. For example, doing push ups while facing downhill will be slightly easier, whereas facing uphill will present a greater challenge. 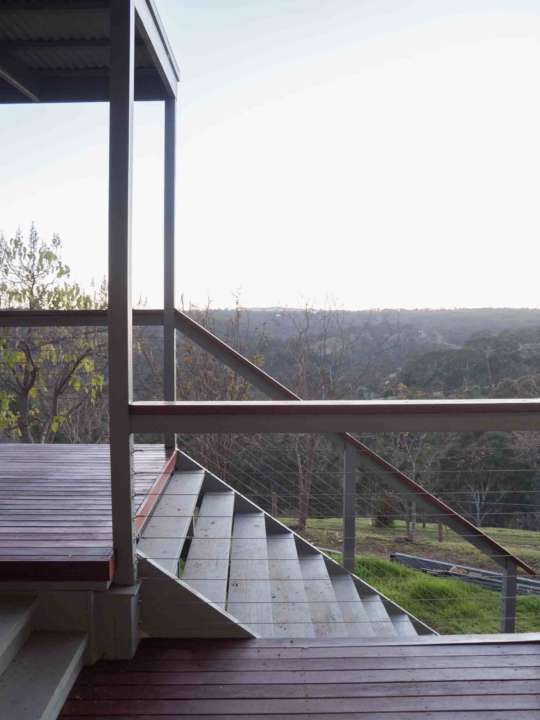 If you’ve got steps in your backyard, you’re all set. Climbing stairs burns more calories per minute than jogging and encourages strong bones and cardiovascular fitness. You don’t need a long staircase either. You can walk, jog or run up and down your stairs until you feel you’ve given your muscles a good workout. Nor do you need to simply traverse the steps. You can mount the stairs with side steps, with lunges skipping every few steps, or with hops, jumping up the stairs with both feet together. You can find plenty more stair exercise ideas here. Who said swings were just for the kids? Swing sets are the perfect place for you to tone your abs, hips and lower back with pull ups and ab crunches. And as with a sloping ground, the instability of the monkey bars can actually help improve your core workout by forcing you to centre yourself better. Anyway, we don’t think you should need an excuse to clamber all over the kid’s playset. We remember how much fun it was to climb all over the monkey bars as kids! If you’ve got plenty of family around it’s worth drawing them into any kind of workout routine. Think about all the running you did as a kid playing Tiggy, British Bulldogs, Rounders, or 40 40. You didn’t even know that you were keeping fit, the games were so much fun. 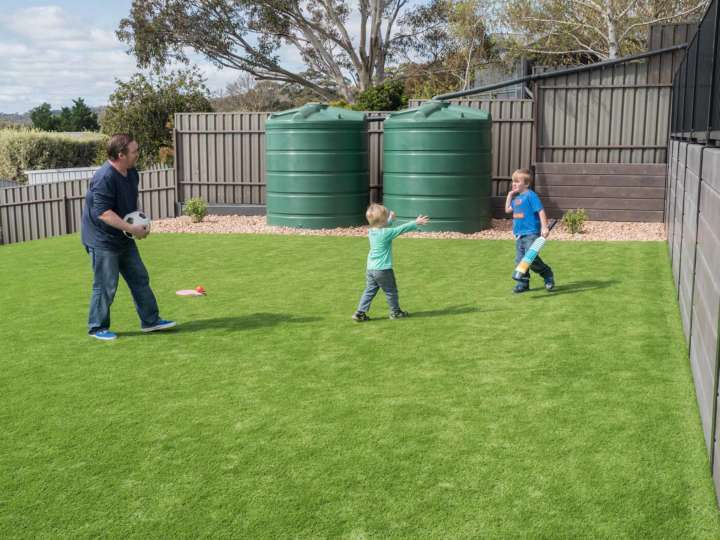 Challenge your family to any backyard game, whether it’s Totem Tennis, badmington, or even backyard cricket. The enjoyment you’ll get from spending time with the family, in the fresh air and sun, will have you coming back for more. It sounds too good to be true, right? But gardening naturally involves use of the muscles, helping to strengthen and tone them. So why not incorporate your gardening chores into your workout routine? Load a wheelbarrow with sand or mulch and run or walk with it around your backyard. Alternatively perform some squats and lunges with a bag of sand or fertiliser on your back to intensify your exercise. If you’re not feeling particularly confident about a hard workout, you can always tone it down a notch with yoga. Yoga offers a rigorous workout of the muscles while letting you go at your own pace. But what we love about yoga is that you don’t really need any equipment at all – unless you’re more comfortable on a yoga mat. You can venture outside barefoot and enjoys great gulps of fresh air as you slow your breathing and twist yourself into a pretzel. The fresh air is key here. Yoga slows down your breathing, and while you can do it indoors, there’s nothing better than catching some pure air and vitamin D as you go through the motions. 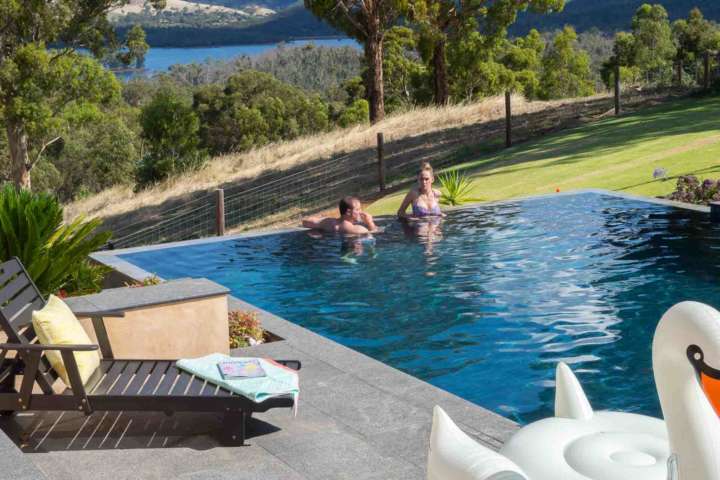 You only need a hard surface, whether it is natural or artificial grass, or a solid timber deck. We’re heralding another childhood favourite here because the fact is skipping can provide an awesome workout while being plenty of fun as well. And fun is crucial to any workout regime. Skipping improves your balance and flexibility, strengthens your bones, and fortifies your respiratory and cardiovascular fitness. Seriously. Skip for fifteen minutes and see how much you’ll be sweating at the end of it. In fact 15 minutes of skipping can burn up to 200 calories. Swimming can be one of the most expensive workouts if you have to pay for membership or entry into your local swimming pool. But if you’ve got a backyard pool, there’s possible no better workout opportunity. If it’s large enough, you can do laps. But even in a smaller pool, you can take on water aerobic exercises. Create the perfect workout surface. Check out our galleries for timber decking and artificial grass.